A few weeks ago I looked at some of the fantastic themes out there that are doing amazing things with WordPress. This week I thought I’d take a look at some of the plugins that you can use to transform your WordPress website. Themes are great if you want to transform your whole WordPress installation into something else, but you can use plugins to just transform one aspect (or lots of different aspects) of your website, maintaining the rest. This means you can use whatever theme that you want. Ever want your own version of Wikipedia? Why? Wikis are a great way to provide documentation, whether its support, historical information, resources or anything else you can think of. 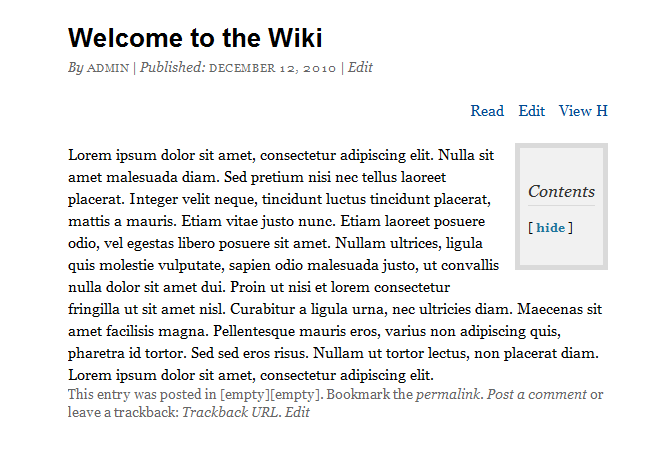 WordPress Wiki turns your website into a Wiki. It’s most recent release is still in Beta but you can download it directly from the plugin website. They are still squashing bugs with it but the update does see it using custom post types, custom permissions, front end editing, internal linking and the ability to transform any page into a part of your wiki. It’s definitely a step up from the version in the directory so if you’ve got some time help them squash those bugs so we can see it more quickly in the WordPress plugin directory. WP e-commerce is a fully integrated shopping cart to allow you to sell both actual and virtual products. You can download the plugin for free from the WordPress Plugin Directory. This will give you basic functionality to be able to sell things through your website. Once it is installed you can install a number of different premium upgrades, including search functionarlity, multiple image uploads, the Ajax powered Dropshop which allows customers to drag and drop items into their shopping cart, members only, a product slider and a Next Gen Gallery “Buy it now” button. The premium extras let you customize the plugin however you want it to work, to build an effective and powerful e-commerce website. I spend a lot of time hunting down recipes – I love to cook and love the way that I can find anything I want on the internet without having to buy cumbersome recipe books (even though people still insist on buying me them for Christmas! Bah!) Recipe Press lets you build a recipe directory in your WordPress website. It uses custom taxonomies and post types to let you post and organize your recipes. Make your own ebay! Using Prospress you can transform WordPress into a fully functioning auction site. 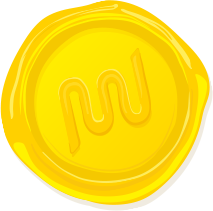 Once users are registered they’ll be able to post auctions, place bids, make payments and provide feedback. It will integrate perfectly with your current WordPress theme and you can start selling in 30 seconds! Anthologize lets you transform your posts into a book. Got a blog that you’re proud of, been writing in it for years? You can create different chapters, append posts onto each other, even create new parts. All of this is done through a simple drag and drop interface. Once you’re happy with it you can export the entire thing as a PDF. A great way to grab your posts and turn them easily into a different format. No list of transformative WordPress plugins would be complete without BuddyPress. BuddyPress is social networking in a box. You can build a social network as easily as installing a plugin. Users can create and register profiles, interact with each other, make connections and generally be socialable. It’s a bit like that other little social networking platform that we all know about, but it’s with WordPress! WP Member adds advanced membership, registration, payment processing, content protection and automated user management functions to your website. You may wonder why you might want that but there are an increasing number of websites that require payment for access to content. This is a growing trend, particularly amongst news websites. The upside to requiring paid membership to your site is that you can get rid of all of those adverts. If you’re looking for a way to turn your website into a paid membership website then WP-Member is the plugin for you. WordPress Directory is a premium plugin from WPMU DEV which will turn your website into an online directory. It’s like the Yellow Pages – only with WordPress! Once the plugin is installed your website becomes an online directory – you can use it for advertising and listings. You can charge others to list their services, products or websites and use the built in payment gateways to start making some lovely money. 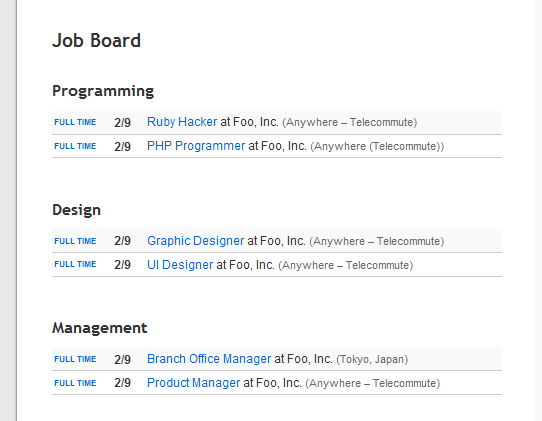 WP Job Ads lets you host your own job board in your WordPress website. Whether you want to charge people for their advertisement, or do it out of your own generosity, it’s a great addition to your site. You may not be able to set up a global job site (or maybe you’ve got a whole lot more oomph than me and you can) but it’s a great way to provide job information within your niche. If you run a charity or non-profit you could also use it to advertise volunteering or internship opportunities. A list of plugins that transform your WordPress website has got to include one that does what everyone wants – transform WordPress into a proper, powerful CMS. WordPress 3.0 saw a whole range of new features that made everyone go a bit quivery. However, unless you know how to get a bit jiggy with some code, it can be a bit daunting for people to create their own custom post types and taxonomies. Custom Press takes care of all of this for you – as well as being packed with more features that let you determine how these different content types will behave.